If you are a subscriber click here for your version of this note which additionally summarises case law and provides guidance on appealling suspension conditions. When a taxpayer makes a careless error or mistake in a tax return or document. When a third party supplies false information, or deliberately withholds information in connection with another person’s return or document. When HMRC raises an assessment for tax and the taxpayer fails to notify HMRC that the assessment is too low. The measures are set out in S97 and Sch 24 FA 2007. S122 and Sch 40 FA 2008 amend the rules to apply to certain third parties. S35 and Sch 10 FA 2010 increases the ranges of penalties in relation to the potential loss of offshore taxes. S124 Finance (No 2) Act 2017 inserts provisions applying to errors that are related to avoidance arrangements. A false or inflated claim to repayment of tax. A penalty is charged per error. Each error has to be looked in isolation in order to determine its category and the behaviour that contributed to it. There will only be a penalty if the error could have led to a potential loss of revenue. Once evaluated errors may be grouped to simplify calculation. Penalties are tax-geared. From 1 April 2011 there are different penalty rates depending on whether the error relates to domestic or offshore income and gains. The first issue is to decide whether in making the error the taxpayer had been taking reasonable care over his tax affairs. Where a taxpayer has made an error despite taking reasonable care an error is treated as “innocent” and no penalty is charged (subject to the new Finance (No.2) Act 2017 changes regarding errors related to avoidance arrangements). Where a taxpayer is found to have not taken reasonable care (in other words he has been negligent) any error will be treated as “careless” and penalties will apply. A higher range of penalties will apply if the taxpayer was found to have made it deliberately or deliberately and had also made attempts to conceal it. Having worked out the maximum penalty according to the taxpayer’s past behaviour, the minimum penalty is calculated on the basis of whether the taxpayer disclosed the error to HMRC or whether disclosure was prompted by HMRC. The maximum penalty is then reduced by the taxpayer’s disclosure; whether he was helpful and co-operative in assisting HMRC to quantify and correct the error. The reduction is achieved by discounting the difference between the maximum and minimum penalty and deducting it from the maximum penalty. When a penalty is charged under the provisions of s98 of the 1970 Taxes Management Act (TMA) then no penalty is payable under Sch 24 FA 2007: any document that triggers a s98 penalty is automatically excluded from the list of documents for which penalties for inaccuracies may be charged. There are special rules dealing with losses and where there is no loss of tax but liability is delayed. There are special rules where the tax payer used a tax avoidance scheme and reliance on a third party may or may not be a defence depending on context see Penalties: errors in returns and documents (subscriber version). A penalty may be charged where an agent has made an error, but only if the taxpayer is found not to have taken reasonable care. Company officers may be assessed for penalties where an inaccuracy is made deliberately. The same applies in the case of an LLP and its members. HMRC may suspend penalties under ‘careless’ behaviour for a set period. The taxpayer may appeal the decision to set a the penalty and rate of penalties charged see How to Appeal a Tax Penalty. The taxpayer may appeal any decision not to suspend a penalty or challenge suspension conditions, see Penalties: errors in returns and documents (subscriber version) for recent developments, case updates and guidance. A tax penalty regime applies when a taxpayer makes an error or mistake in a tax return or document and this affects his tax charge. These rules were introduced in the Finance Act 2007. 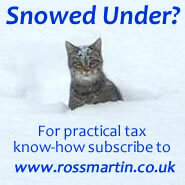 They affect periods from 1 April 2008 for Income Tax, Company Tax, CGT, PAYE, CIS, and VAT. Where a document contains more than one inaccuracy, a penalty is payable for each inaccuracy. Which documents are covered by these rules? Repayments, or any other kind of payment or credit, to him. Use of the wrong form, provided that it was accurately completed will not automatically give rise to a penalty for error provided that it does not contain a false or inflated claim. This kind of error could lead to a late filing penalty. A further penalty of 30% is triggered if a person fails to notify HMRC of an under assessment of tax, in relation to an assessment made by HMRC. (b) did not take reasonable steps to inform HMRC. Deliberate but not concealed inaccuracies shall be taken to be corrected before deliberate and concealed inaccuracies. If loss is overstated, lost revenue equals extra amount of tax relief received. Where the loss has not been wholly used, lost revenue is increased by 10% of the balance of the loss. Where tax has been delayed, the lost revenue is 5% of the tax for each year of the delay. This does not apply to losses. allowing HMRC access to records for the purpose of ensuring that the inaccuracy or under-assessment is fully corrected. Unprompted means made at a time when the person making it has no reason to believe that HMRC have discovered or are about to discover the inaccuracy or under-assessment. Tax trap: a disclosure is "prompted" if it is made after HMRC has notified of its intention to make a compliance visit covering the specific area of tax to which the disclosure relates. Most compliance visits are now cross-tax, and so this means that compliance visits may cover all the taxes which affect that business, in which case it will be difficult to claim a penalty discount for an unprompted disclosure. Tax planning: if a business is judged to be high risk, a regular tax heath check will minimise the risk of prompted disclosures. As these penalties could mount up this may be most cost effective. As this regime is new, initial penalties will in many cases (at least for the early years) be suspended. A regular tax health check may be something that is required as a consequence, at least until the suspension period ends. Where a person who would otherwise be liable to a 30% penalty has made an unprompted disclosure, HMRC shall reduce the 30% to a percentage (which may be 0%) which reflects the quality of the disclosure. Where a person who would otherwise be liable to a 30% penalty has made a prompted disclosure, HMRC shall reduce the 30% to a percentage, not below 15%, which reflects the quality of the disclosure. So the minimum penalty for a prompted disclose will be 15% (see table above). HMRC updated a number of compliance check factsheets in December 2017, and included new wording on how the timing of a disclosure will affect the reductions HMRC give to taxpayers. The new wording suggests that a disclosure more than 3 years after the error was made will not be entitled to the full reduction. In delayed cases, the minimum penalty will be limited to 10 percentage points above the statutory minimum. This is not in accordance with HMRCs manuals and would represent a change in policy. There is some confusion as to whether this is what HMRC actually intends. See New penalty calculation creates confusion. the fact that a potential loss of revenue from one taxpayer is balanced by a potential over-payment by another. Planning point: the Tribunal will be the final arbitrator as to what is meant by special circumstances; each case will be decided on its merits. See Grounds for appeal: HMRC error or flaw for guidance on what constitutes special circumstances and case law. Assess the penalty, notify the taxpayer and state in the notice a tax period in respect of which the penalty is assessed. An assessment will be enforced in the same way as an assessment to tax and may be combined with an assessment to tax. If there is no actual tax assessment the date on which the inaccuracy is corrected. The conditions of suspension to be complied with by the taxpayer. HMRC may suspend all or part of a penalty only if compliance with a condition of suspension would help him to avoid becoming liable to further penalties for careless inaccuracy. At the end of the period of suspension, if HMRC is satisfied that the conditions of suspension have been complied with, the suspended penalty or part is cancelled. If not, or the taxpayer becomes liable to another penalty during the period, the suspended penalty or part becomes payable. Suspended penalties can apply jointly in the case of partnerships. HMRC current practice is that penalties for inaccuracies may only be suspended if the suspension condition is SMART, that is "Specific, Measurable, Achievable, Realistic and Time" bound. Taxpayers may be asked to sign a Specific Measurable Achievable Realistic Time Bond in order for penalties for errors to be suspended. b) a period within which it must be taken. A taxpayer may appeal against a decision of HMRC setting out suspension conditions. If for example, the conditions attaching to your SMART Bond are unreasonable or over onerous. The condition of suspension must contain a more practical and measurable condition (e.g. improvement to systems) which would help the taxpayer to achieve the statutory objective that tax returns should be free from errors caused by a failure to exercise reasonable care. Can we appeal against penalties? The amount of a penalty. See How to Appeal a Tax Penalty. Not to suspend a penalty payable. Setting conditions of suspension of a penalty. see Penalties: errors in returns and documents (subscriber version) for recent developments and guidance on how to appeal against a lack of suspension or suspension conditions. The Tribunal may affirm, substitute or cancel HMRC’s decision if it thinks it flawed. “Flawed” means flawed when considered in the light of the principles applicable in proceedings for judicial review. The taxpayer is liable to be penalised where a document which contains a careless inaccuracy is given to HMRC, even if transmitted via an agent. Reliance on the work or advice of a qualified tax agent may amount to a reasonable excuse, if the tax is complicted, it is not VAT or the taxpayer was not participating in a tax avoidance scheme (FA (No2) 2017 rules) see Penalties: errors in returns and documents (subscriber version). HMRC may pursue the officer for such portion of the penalty (which may be 100%) as they may specify by written notice to the officer. It is essential that a director knows what is expected of him, so that he can prove that he has taken reasonable care. A taxpayer is not liable to a penalty in respect of an inaccuracy or failure in respect of which he has been convicted of an offence. It is simply a question of examining what the person did or failed to do and asking whether a prudent and reasonable person would have done that or failed to do that in those circumstances. Repeated inaccuracies may form part of a pattern of behaviour which suggests a lack of care. Keep a sense of proportion; repetition will not always indicate a failure to take reasonable care. People do make mistakes. Perfection is not expected. Has no structured system for making sure that his records are accurate. Verdict: his attitude indicates a lack of reasonable care. Example 2 Chandra, a shopkeeper. Replaces an old van with an estate car. Uses the vehicle for personal use in the evenings and weekends. Not sure about what input tax he can claim for his vehicle, claims it all. Doesn’t contact his accountant or HMRC for advice. Verdict: this indicates at least a lack of reasonable care. Example 3 A&B Ltd, a large company. No procedures to identify the entertaining element of advertising costs. No way of cross-checking how much is disallowable. Verdict: a failure to take reasonable care and could be shown to be deliberate. An Employer Compliance review advises that reimbursement of private phone bills should be dealt with through the payroll and subject to PAYE and NICs. At next review advice found to have been ignored. Verdict: this indicates failure to take reasonable care because it has ignored the advice given by HMRC. Recurrent errors in VAT returns. Systems are not adequate enough to produce correct figures for the return. Verdict: a repeated inaccuracy may, depending on the specific system's failures, be seen as at least a lack of reasonable care. Example 6 Susan the personal representative of her late mother’s estate. When she is completing the IHT account Susan does not check the balances on bank accounts at the date of death with her mother’s bank. Instead she estimates the amounts. Verdict: this shows a lack of reasonable care. A mislaid bank statement and a failure to take reasonable care by the bookkeeper. Adjusting the error on the later return is a disclosure of the inaccuracy for the purposes of the penalty regime because the IPT return shows the under-declaration in a separate box, see CH81141. What is reasonable depends on the individual and the nature of the issue at stake. See reasonable care and tax penalties. Sch 36 Finance Act 2008 gives HMRC wide powers to inspect business records and premises so discovery (which allows the re-visiting of periods outside the enquiry window) into a tax return is potentially more likely. HMRC has limits on its use of Schedule 36: information must be "reasonably required" as well as being in a taxpayer's power or possession. HMRC may not insist on a blanket trawl of non-business records or business records outside the period under enquiry, without good reason. Whether sch 36 this will affect the timescale in which HMRC can investigate past and closed period returns really seems to depend on the circumstances of each case. Individual and partnership returns 2007/08 on, and company accounting periods ending after 31 March 2008. Twelve months after the date that the return was delivered. Individual and partnership returns: 12 months from 31 January following the year of assessment, and company returns: 12 months after the filing due date. An amendment to correct an error or mistake in a return within the amendment window will not be subject to tax penalties if the taxpayer makes it without prompting from HMRC. There may be penalties if HMRC find that the the error or mistake was deliberate (see table of penalties in Overview). HMRC will go back 4 years if on finding an error there is the presumption of continuity. This will extend to 6 if there is suspected negligence or dishonesty and up to 20 years in cases of fraud. Tax compliance: powers to inspect businesses. Penalties for errors in returns and documents are found in S97 and Schedule 24 of the 2007 Finance Act, as modified by s35 and Schedule 10 FA 2010. HMRC's Compliance Handbook is provides a summary of its internal guidance.